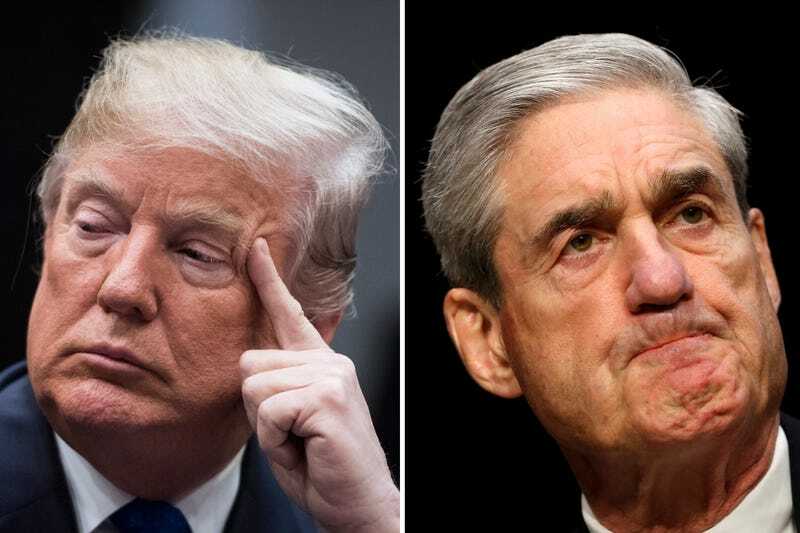 While special counsel Robert Mueller has no problem cutting the number of obstruction-related questions Donald Trump would be asked by his investigators, the president will still have to answer them in person and not simply in written form. CNN reports that Trump’s legal team has only agreed to submit written answers to Mueller and have the president take part in an interview that limits questions to issues before the inauguration that are mostly about collusion. Mueller’s team has long wanted to interview Trump, but the talks have dragged on for months because the president’s lawyers have tried to limit the scope of the interview and the types of questions that will be asked. According to CNN, Rudy Giuliani, Trump’s lawyer, told reporters after an event in Portsmouth, N.H., on Wednesday that his client has always wanted to speak with Mueller, but Giuliani and Trump’s other attorneys have been more hesitant. He also told reporters that Mueller needs to hurry up and prove that this investigation is worth it. The ball is in the Trump team’s court, two additional sources told CNN. Those sources would not say how long the Trump team’s lawyers would take to respond. Trump can tweet until his fingers fall off, but it won’t stop Mueller from continuing his investigation. And neither Al Capone nor Paul Manafort will be able to help him.